Do you have a clear long term or overall aim for your business? Do you have a written plan of action which will enable you to achieve this? If not, I can help you take your first step toward a winning business strategy. 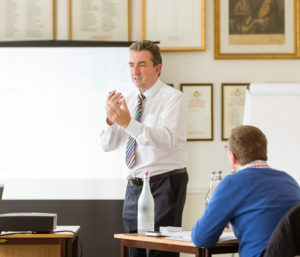 Over the last 14 years I have worked with over 100 business owners and entrepreneurs across the UK, empowering them to set goals, create route maps and reach milestones as part of their business strategy. Spending just a few hours with a qualified business coach and mentor will make your business more profitable, more enjoyable, and more manageable. What is a business strategy? – A business strategy is the result of a process. This process is facilitated over two days by your independent coach who works collaboratively with you as business owners and leadership team. This could be your actual or emerging team. This unique approach creates an aligned culture and a clear set of goals for everyone to work towards. Every decision and action taken in the business will focus on achieving agreed to milestones. Your 5 Year Strategic Plan is held in the Cloud and can be updated on a regular basis. This includes updating all your financial Profit and Loss, Balance Sheet and Cash Flows. No more need for complex interconnected spreadsheets ! 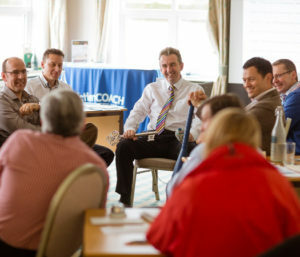 How can a coach or mentor help develop a strategy for my business? – The first step in successfully creating a strategy for your business is to take time out of the day-to-day and focus on the big picture for a few hours. Appointing a coach or mentor will make you take that time out, and they will guide you in a structured way through the process of developing a strategy tailor made for your business. Andrew’s unique experience will give you peace of mind. He is a qualified Chartered Accountant, has used strategic plans in management buyout and has taken a company to public markets via an Initial Public Offering (IPO) on the Nasdaq market. Clients have found the collaboration exercise very valuable as opposed to the usual scenario where the MD and FD crunch out a plan in isolation , completely detached from the rest of the team. All too often I meet owners, managers and executives who don’t feel in control of their businesses. They feel as if the day-to-day demands of their work mean that their business is actually controlling them. Helps you design and build a Business System that your team can run without you,giving you time to choose where to focus in your life and business.